Parents often look for great books to share with their children at Christmas. For the next few days, I will share what I consider to be four of the best children’s Christmas books. The book can be found in many Christian book stores, and on Amazon.com here. 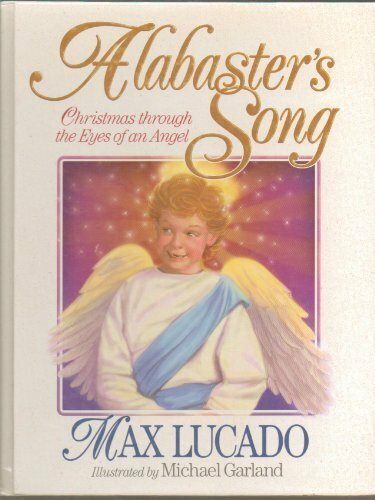 I have read about 20 books by Max Lucado. I love his gift for telling a story and turning a phrase. However, after reading so many of his works, I began to feel that if I’ve read one of his books, I’ve read them all. 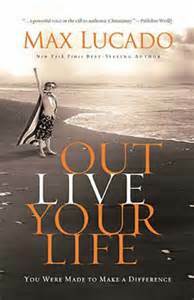 So when I got a copy of Outlive Your Life: You Were Made to Make a Difference, I let it sit on my bookshelf for over three years. Recently, some circumstances in my own life drew me again to the title. I’d like for my life to make more of a difference, so I decided to see what Max had to say. I was deeply moved– to take action. This book uses the familiar writing style of Lucado that has made him one of the bestselling Christian authors of modern times: vivid storytelling with a surprise ending, and clever, poetic phraseology. For example, he described the apostle Peter’s reaction to the vision to eat unclean food by saying, “Peter was pondering the pigs in the blanket when he heard a knock at the door” (p. 146). He also follows a Biblical theme, as he does in most of his books. This one focuses on stories in the Acts of the Apostles to encourage Christian readers to make a difference in their world, the way the early disciples did. What really stands out in this book, however, is how boldly Lucado calls on Christians to be involved in social action. Again and again, he urges Christians to help the poor, care for orphans, feed the hungry, etc. He is very specific in examples of how to do that, more so than any other book of his that I have read to date. He does so without abandoning the gospel message. In fact, chapter four, “Don’t Forget the Bread,” stresses that if we help the needy and don’t share the gospel, we are like he was when his wife sent him to buy bread at the grocery store and he came home with everything else and forgot the main thing: the bread. Each of Lucado’s books include a discussion guide at the end, but this book has a “Discussion and Action Guide” (emphasis mine). America’s most inspirational author intends not only to inspire, but to move the reader to action. For this reader, he succeeded. There are many wonderful books that have been written on the Lord’s Prayer, but there are two in particular that I have found inspiring. 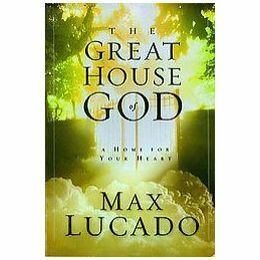 Max Lucado’s book, The Great House of God: A Home for Your Heart, uses the creative analogy of a big mansion to compare to the Lord’s Prayer. He takes each part of the prayer and compares it to part of the great house. For example, the study is where we learn “thy will be done,” and the kitchen is where we pray “give us this day our daily bread.” Lucado draws a visual image of the prayer that helps the reader see it in fresh ways. 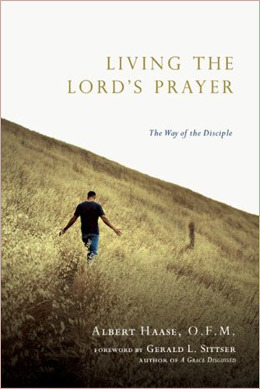 Albert Haase’s book, Living the Lord’s Prayer: The Way of the Disciple, is my favorite book on the Lord’s Prayer. He challenges the reader to live the prayer, not just say the prayer. He takes each part of the prayer and challenges us to put the principles into practice. He uses personal and deeply moving illustrations that encourages the reader to be different because of this prayer.